Jennifer Carrillo, left, director of mission impact at YWCA McLean County, spoke to advocates of the Public Safety and Community Relations Board after a Bloomington City Council vote Monday, July 24, 2017. A Bloomington police detective who has worked with YWCA McLean County’s Stepping Stones program for sexual assault survivors said he will no longer help with its trainings in part because of the YWCA’s support for a citizen-led police advisory board. Det. John Heinlen sent an email to a Stepping Stones staff member from his private email account April 9, refusing to participate in a training the YWCA had invited him to attend May 7 at Illinois Wesleyan University. Heinlen then followed up with another email on his City of Bloomington account reiterating his intention to no longer work with YWCA. “The YWCA does not think myself or the men and women I work with are competent enough to do our jobs properly,” Heinlen wrote in the email, an apparent reference to the city’s new Public Safety and Community Relations Board (PSCRB). YWCA officials advocated for its creation last summer. Latson said he failed to see why Heinlen linked the YWCA’s support of the PSCRB with the services, such as counseling and medical assistance, its Stepping Stones program provides to those who have experienced a sexual assault. “From what I understand, it had nothing to do with the way we go about doing our work and working with people who have endured and survived sexual assault. It was solely based on the passage of something completely unrelated,” Latson said. Bloomington Police Chief Brendan Heffner was not available for an interview despite repeated requests from GLT. A department spokesperson said Heffner was busy preparing for his retirement Friday. “In 2015 Detective Heinlen was asked on a personal level by an employee of a different agency to be part of a panel discussion. This was not part of his regular duties. He elected to participate. He was asked again this year and declined. After he declined an organizational request was made for the department to send a representative and one was provided,” Heffner said in an email. Heffner did not respond to GLT questions about his reaction to Heinlen’s email, whether Heinlen would be reprimanded, or whether his comments represented any widely held views among rank-and-file officers. Heinlen did not respond to requests for comment. A message left with a police union representative with BPD was not returned Tuesday. However, Latson told GLT he is concerned Heinlen’s comments represent broader resentment within the department toward the PSCRB. “His last email he actually sent from his government-issued email, which says to me he felt very bold and emboldened and perhaps supported in his statement that he would no longer assist us,” Latson said. Mayor Tari Renner said he believed Heinlen was speaking solely for himself. The mayor said he’s seen no widespread discontent in the department over the PSCRB. “We’re talking about one employee’s opinion,” Renner said. “The police officers I have talked with understand and have a great deal of respect for people on the police review board. Actually they were pleasantly surprised by the people who were selected to serve on the police review board,” Renner added. Bloomington Police Chief Brendan Heffner speaks to aldermen. In his email, Heinlen also criticized the YWCA for its support of Black Lives Matter. “It is my personal belief that Black Lives Matter supports and advocates violence against police,” Heinlen wrote. Latson said the YWCA has never advocated violence against any group. “There is nothing true about that at all,” he said. "I've never heard anyone locally talk about hurting police officers. In any meeting I have ever been in with members from Black Lives Matter, their whole issue was ensuring that people were treated fairly." The Bloomington City Council created the PSCRB in July over the opposition of Heffner amid calls by a variety of advocacy groups for a better response to public complaints against the police. Latson noted that the YWCA was one of several community groups that supported passage of the advisory board. 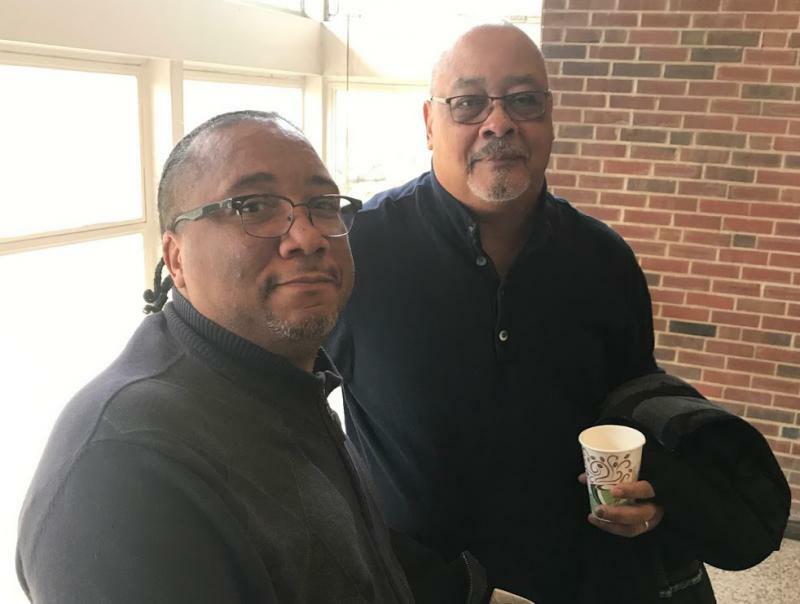 “I guess (Heinlen) would feel the same way about NAACP, ACLU, Not In Our Town—all of those groups were at the table” supporting passage of the police advisory board, Latson said. Heinlen is “one of many capable detectives who handles sexual assault cases” for BPD, Heffner said. The detective has expertise in handling crimes against children, Heffner said. Indeed, Heinlen worked on the recent sexual assault case against a former local piano teacher, which involved several young victims. Renner said Bloomington residents can be assured that their police officers will continue to take an active role in efforts to educate the public about sexual assault. The mayor said attending public training sessions on sexual assault is not part of Heinlen’s official duties, but something he often did on his own time. In a second email to a YWCA staff member, sent from Heinlen's city email account, the detective repeated he is "no longer willing to participate" in YWCA-sponsored sexual assault training. The staff member had asked Heinlen to recommend another officer to participate in the May 7 training at IWU. Heinlen responded, "As far as somebody else that can help, nobody comes to mind. I cannot think of any officer that would feel any differently than I do." Heinlen added, "However, I do not speak for anybody besides myself." A few weeks later, a YWCA representative saw the department's public affairs officer at an event and mentioned the planned May 7 training at IWU, Latson said. The officer agreed to represent the police department at that event. "To be clear, nothing has affected the professional and compassionate service we provide to victims of sexual assaults." “To be clear, nothing has affected the professional and compassionate service we provide to victims of sexual assaults,” Heffner told GLT. Still, Latson said he remains concerned about the police department’s commitment to preventing sexual assault. The YWCA invited Heinlen to offer a police perspective on investigating sexual assault claims at educational programs and trainings for community groups. Heinlen also referred people who experienced sexual assaults to the support services of the Stepping Stones program. A Stepping Stones staff member said the YWCA had worked with Heinlen over the past five years. “It is not about hurting the YWCA. It is about hurting the people we serve, and that is victims of sexual violence,” Latson said. Renner said the YWCA can file a formal complaint with the police department about the matter. If it is not satisfied with the police response, the organization can take is complaint to the citizen-led advisory board for review, the mayor said. Latson said he had not contacted Heffner about the emails because he did not feel the department would censure Heinlen for his remarks. “I do not feel safe reporting anything because I am not sure anything is going to happen,” Latson said. He said he worried that a complaint would make matters worse. “Whenever you talk to anybody from communities that have been disempowered or disenfranchised and have had poor relationships with law enforcement, there is always going to be some fear and concern about what happens if you step forward,” he said. The PSCRB reviews decisions the police department makes on citizen complaints if the complainant isn't satisfied with the action the department takes. Renner said the board also operates in an advisory capacity, and that citizens can come to it with recommendations for the department and elected officials. The department currently has no designated sexual assault unit, the mayor said. Renner said establishing a separate unit might be a topic for discussion with the next Bloomington police chief. Reports of sexual assault rose 70 percent in Bloomington in 2017, despite a decline in overall crime citywide. Heffner is stepping down Friday to become U.S. Marshal for the Central District of Illinois. GLT’s Ryan Denham contributed to this report. 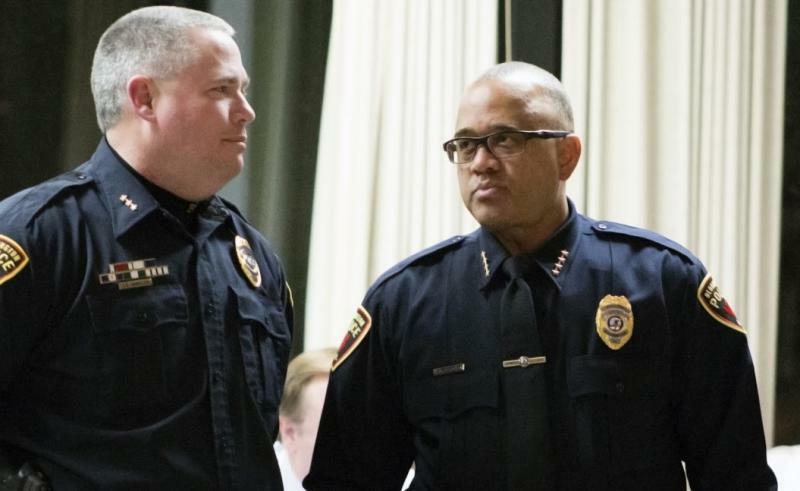 Bloomington Police Chief Brendan Heffner's last day on the job will be Friday. 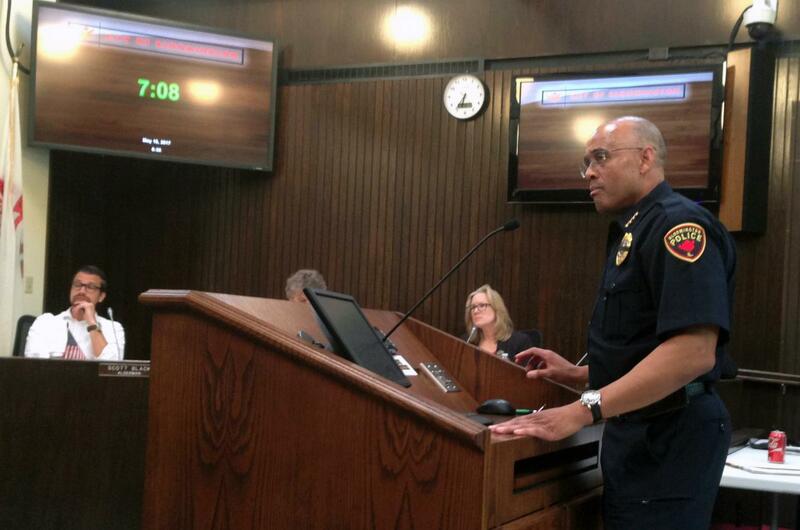 Local civil rights leaders claimed victory Monday as the Bloomington City Council voted to create a new civilian board to advise the police chief—a step that supporters hope will improve how the city deals with complaints against its officers. Nearly five months after Bloomington aldermen voted to create a new police advisory group, the board’s seven appointed members will meet for the first time Wednesday for an orientation session.